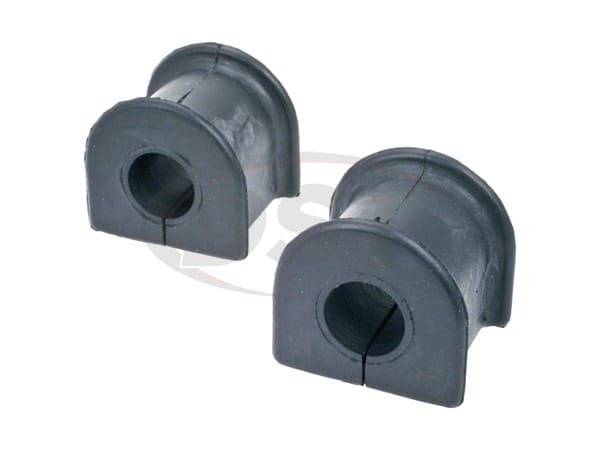 Moog's Sway bar bushings are a great way to restore or enhance your vehicle's handling. Moog crafts each of their sway bar bushings to meet or exceed OE specifications, ensuring that you once again have complete control over your ride. Moog also covers their sway bar bushings with a lifetime warranty. Should you ever need to use it, everything can be handled in-house here at DST. Take corners safer, and easier, with Moog's sway bar bushings. 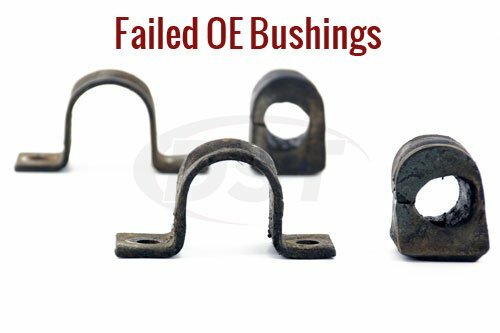 After years of use your OE sway bar bushings will warp. This loosens the bushing's grip on your sway bar, reducing your control over your vehicle. As the OE bushings continue to deteriorate your ride will lean farther around corners and you could hear banging underneath the chassis. This banging is the sound of your sway bar impacting other suspension parts, potentially causing additional damage. Protect yourself and your vehicle with Moog's sway bar bushings. Moog makes their sway bar bushings with two materials; rubber and thermoplastic. Moog's rubber bushings are designed to restore your smooth OE ride, getting you back to your original performance. The thermoplastic is stiffer and more durable. 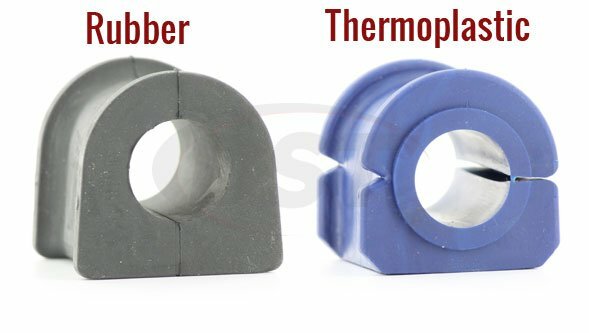 With thermoplastic bushings installed your NVH might increase slightly, but your performance will not only be restored, but it will also be improved. 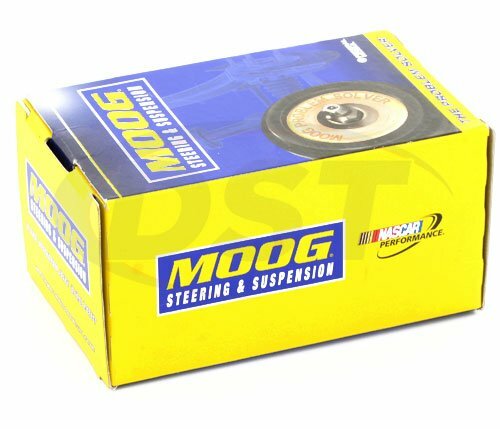 So if you're looking to fix up your daily driver, or reduce your lap time, Moog has you covered.